Serendipity Reviews: The Best of the Bookmarks! 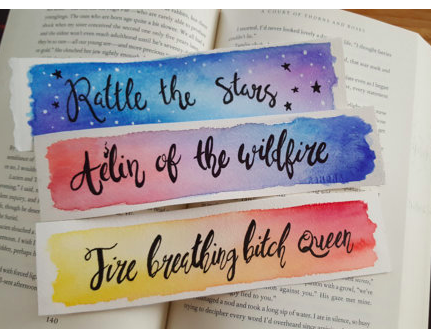 The Best of the Bookmarks! 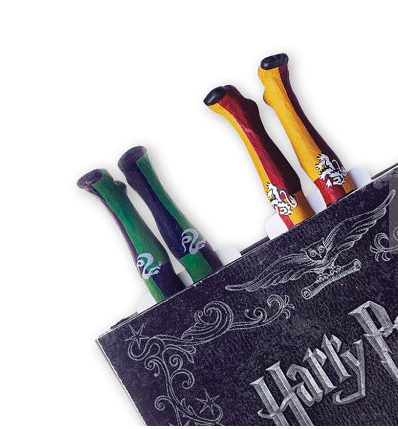 For a while now I've been eyeing up bookmarks. I think it came about during my growing obsession with Instagram. From constantly looking at book photography on there, I now have serious book mark envy. I thought it might be nice to share that envy with you all, so you end up yearning for them as much as I do. This has to be one of the most sought after and iconic book marks. I've lost count of how many photos on Instagram I've seen with this in. 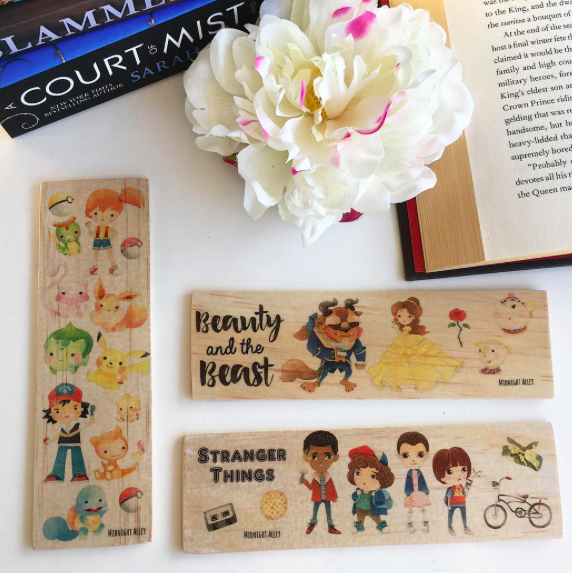 Created by Kate as the Lillytales range, these wooden book marks are now sold through Book and Burrow, the company Kate set up with soy wax candle maker, Sam. 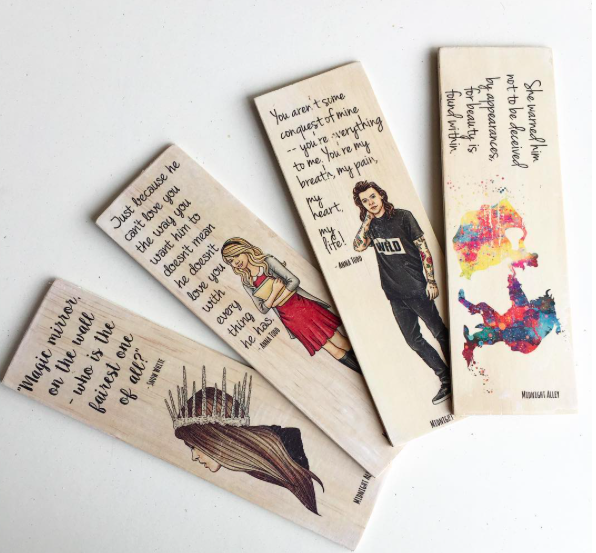 These book marks can be shipped internationally from Melbourne. 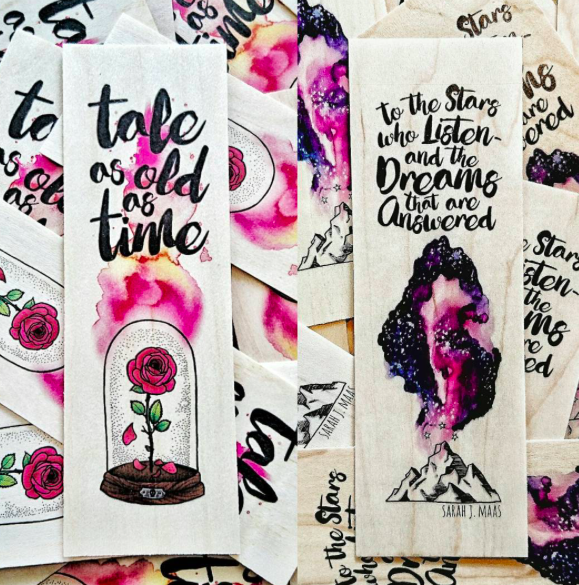 Read and Wonder make these beautiful hand drawn miniature book marks which are printed onto high quality photo paper. The set below for Six of Crows are my favourite. Run by Jessica and Kim Robinson, they ship from Adelaide, Australia. Midnight Alley make beautiful timber book marks, which they ship internationally from Queensland, Australia. Just look at the Stranger Things one. Ink and Wonder also make some amazing wood timber bookmarks. They also ship worldwide from Australia. These are just crazy. Imagine have these legs sticking out of your book! I love the Wicked Witch one so much. These are made out of polymer clay and painted with acrylic. They are made by Olena in the Ukraine and are shipped worldwide. 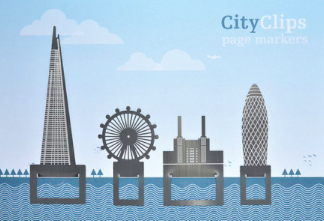 One of the more expensive bookmarks but definitely one to add to your collection. These are some of my favourites. Handpainted using watercolours onto watercolour paper, they are just stunning. 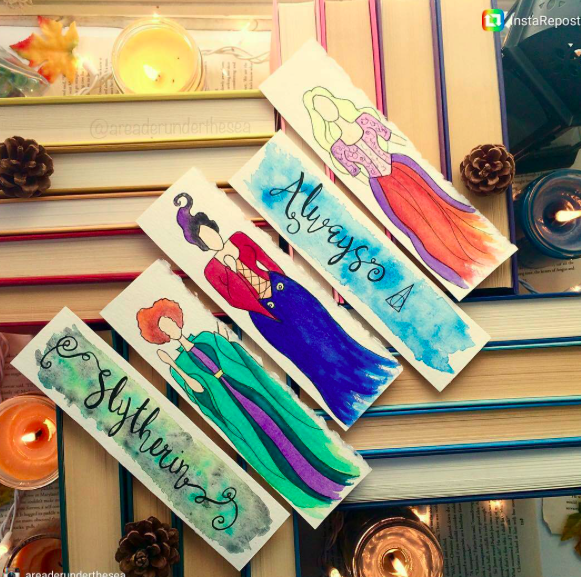 I am totally in love with the Sanderson sisters bookmarks! Caitlin ships internationally from America. 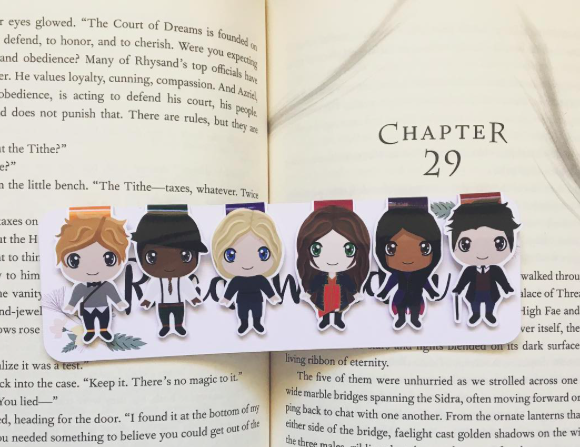 I actually found this one on Easy while I was searching for a different set of bookmarks but I had to include them. They will definitely be on my Christmas list. 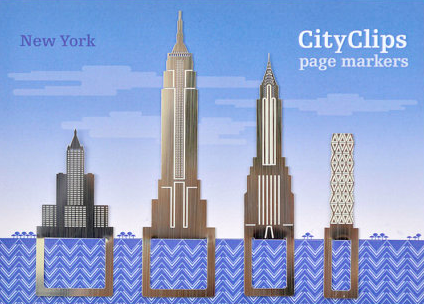 New York bookmarks!! And they are a UK company, so just in time for Christmas. I hope these have made you all drool over bookmarks as much as I have. Which ones do you like best? 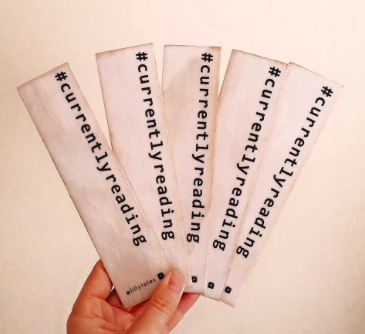 Perhaps you might need to pass this blog post onto a loved one, in the hope that they may buy you some of these stunning bookmarks for Christmas.